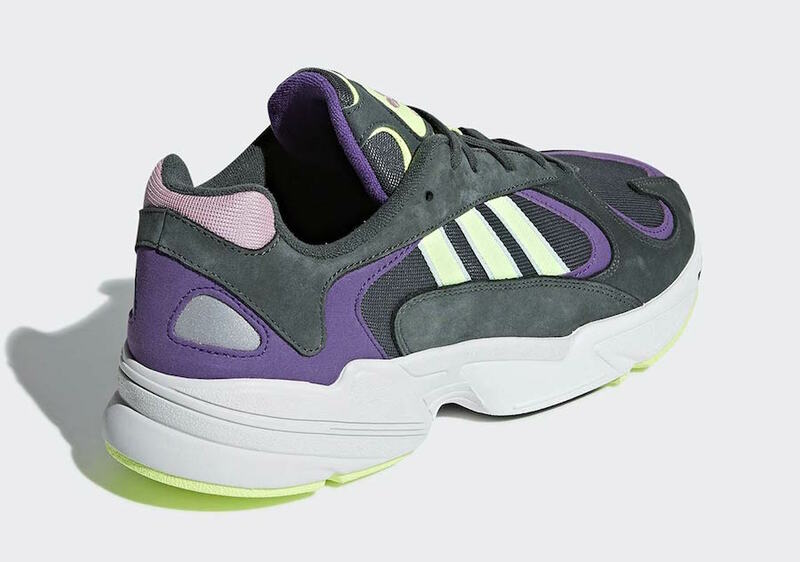 The new adidas Yung-1 has started to release in all sorts of colorways, even being included in special brand collaborations. Now, a simple new colorway has popped up online, mixing dark green with some bright tones. The upcoming adidas Yung-1 is slowly taking over release calendars. First released midway through last year, the Yung-1 is a slightly updated take on the 1996 Falcondorf, a cult-classic running shoe from the Three Stripes. With the chunky shoe trend in full swing, 2018 seemed like the best time to bring back the often-forgotten running classic. 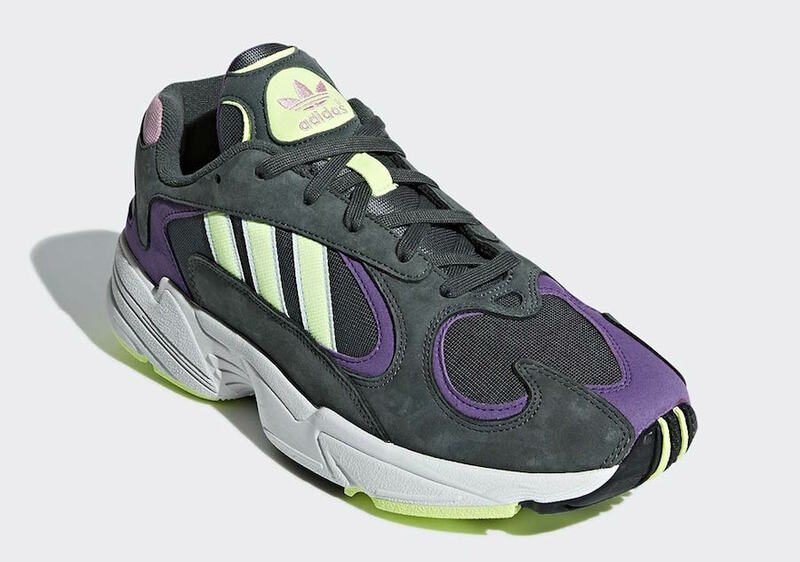 Now, continuing off of the Yung-1’s popularity, new colorways are emerging in 2019. The latest colorway of the adidas Yung-1 is probably one of the most intricate we have seen yet. Taking similar cues from colorways like the “Alpine” look and END Clothing’s “Atmosphere”, the new color scheme paints the Yung-1 in a variety of tones all united under a somewhat dark and natural theme. 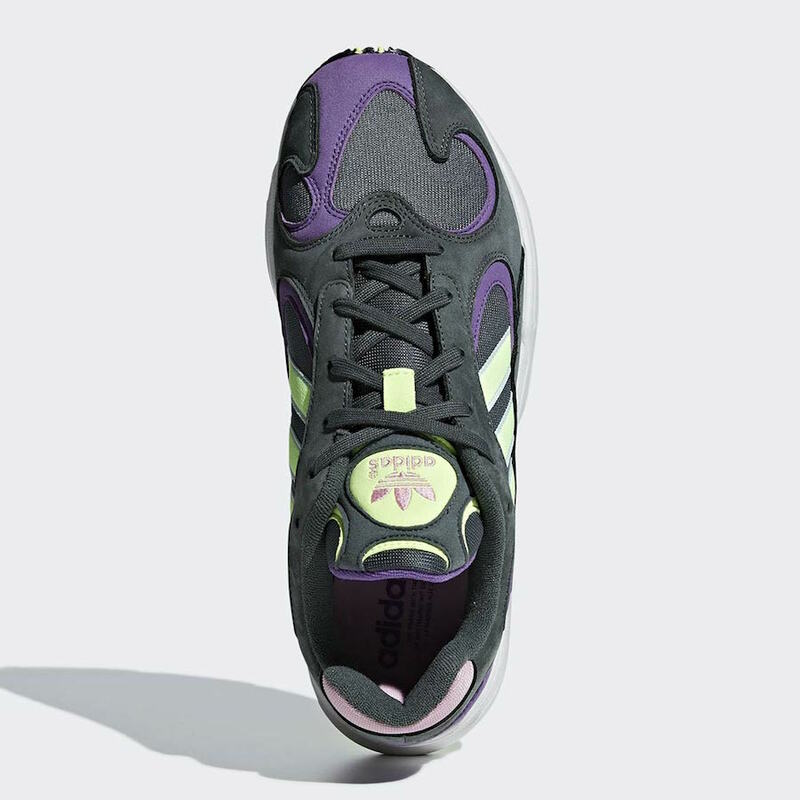 The suede and mesh base layers of this Yung-1 are dyed in a brilliant forest green hue, with vibrant purple underlays for a pop of color. 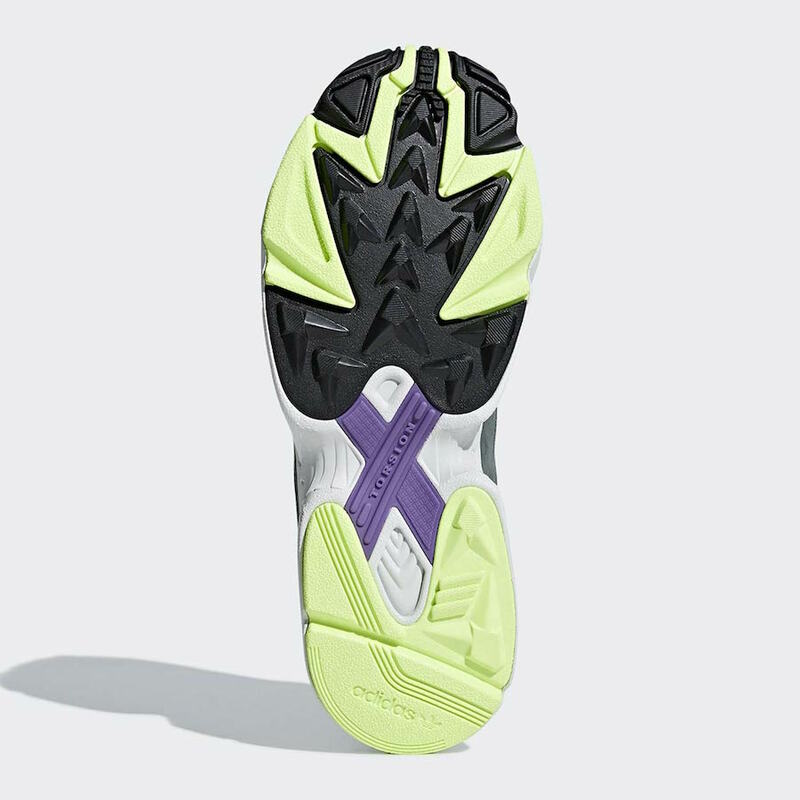 The adidas branding comes in neon green, while a white midsole with green and purple accents finish off the look. 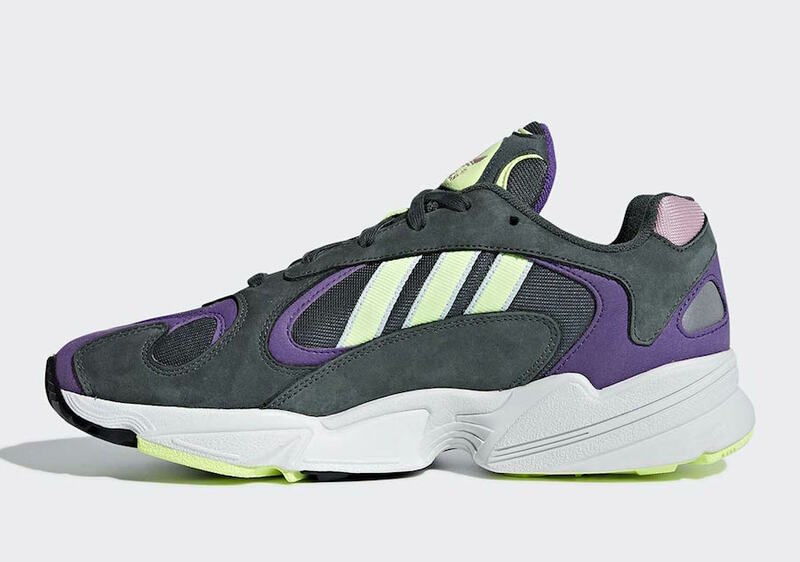 The latest colorway of the adidas Yung-1 to surface online is scheduled to release sometime this Spring, likely on March 1st, alongside another colorway scheduled for March. Priced at the usual $130, this “Alpine” colorway will be a great addition to a Fall wardrobe. Check out the early images below for a better look, and stay tuned to JustFreshKicks for more adidas Yung-1 news. The post adidas’ Chunky Yung-1 Emerges in a Dark new Forest Green Colorway appeared first on JustFreshKicks.